Microsoft has reported net income of $4.97bn on revenues of $19.9bn for the quarter ending 30 June 2013. Although revenues were up 10% on the same period a year ago, the results were overshadowed by losses on the Surface RT tablet and fell $800m short of analysts’ estimates. The company said the results included a $900m charge “related to Surface RT inventory adjustments”. 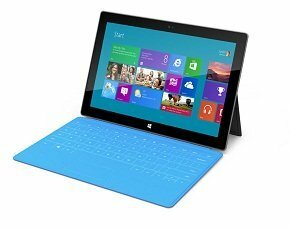 Earlier this month, the ARM-powered tablet – Microsoft's first venture into selling computer hardware – had its price cut by 30% after poor sales. Operating income was $6.073bn and earnings per share $0.59, both essentially unchanged from a year ago. Amy Hood, CFO at Microsoft said the quarter was affected by the decline in the PC market, but the company continues to see strong demand for its enterprise and cloud offerings. “We saw increasing consumer demand for services like Office 365, Outlook.com, Skype, and Xbox LIVE,” Amy Hood said. Steve Ballmer, CEO at Microsoft said the company will focus on new devices and services for individuals and businesses. Last week, Ballmer unveiled plans to reinvent Microsoft with a big push to develop hardware from phones to set top boxes, as it attempts to remain relevant in the era of IT consumerisation. For the full 2013 financial year, revenue was $78bn, up 6% on 2012. Operating income was $27bn, an increase of 23%, and earnings per share were $2.58, a 29% improvement. Much of this improvement is due to 2012's $6bn write-down over the acquisition of online advertising firm aQuantive in 2007. Microsoft Business Division revenue grew 14% for the quarter and 3% for the full year, Server & Tools revenue grew 9% for the quarter and 9% for the full year. Windows Division revenue grew 6% for the quarter and 5% for the full year, Online Services Division revenue grew 9% for the quarter and 12% for the full year, Entertainment and Devices Division grew 8% for the quarter and 6% for the full year. Kevin Turner, COO at Microsoft said the company continued to see strong demand for enterprise products and services. “The growing adoption of our cloud services, including Office 365, Windows Azure and Dynamics CRM, continues to demonstrate our leadership position in the cloud,” Kevin Turner said. Microsoft revised its operating expense guidance downward to $31.3bn from $31.9bn for the full fiscal year ending 30 June 2014.